The NORD-LOCK bolt securing system is comprised of special cam faced washers that are assembled as washer pairs. 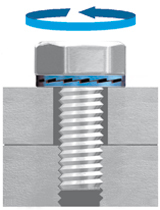 The bolt securing system uses geometry to safely lock bolted joints. The key is the difference in angles. 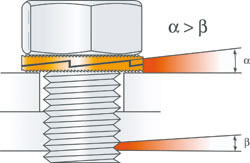 Since the cam angle " Î± " is larger than the thread pitch " Î² ", the pair of washers expand more than the corresponding pitch of the thread. 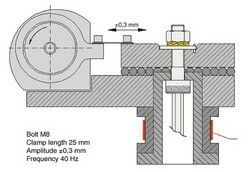 NORD-LOCK washers positively lock the fastener in a joint which is subjected to extreme vibration or dynamic loads. NORD-LOCK is a pair of washers with a wedge-locking action meeting DIN 25201 which is a unique method using tension instead of friction. The rise of the cams between the NORD-LOCK washers is greater than the pitch of the bolt. In addition, there are radial teeth on the opposite side. The washers are installed in pairs, cam face to cam face. 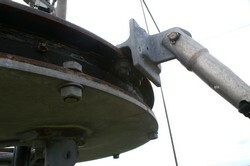 When the bolt and/or nut is tightened the teeth grip and seat the mating surfaces. 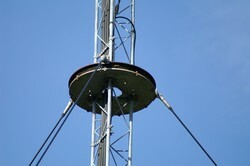 The NORD-LOCK washer is locked in place, allowing movement only across the face of the cams. Any attempt from the bolt/nut to rotate loose is blocked by the wedge effect of the cams. 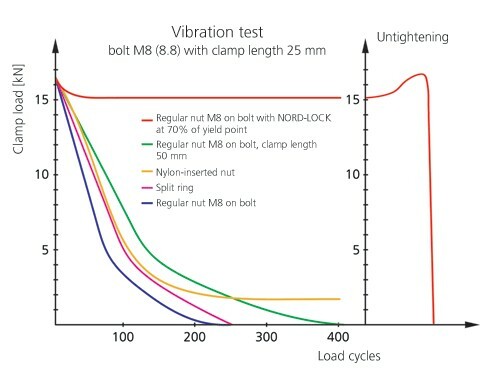 The Junker vibration test meeting DIN 65151 is an excellent method for testing and comparing the security of bolted joints. In a junker test the bolted joint is subjected to transverse movements while the tension is being continuously measured by a load cell. 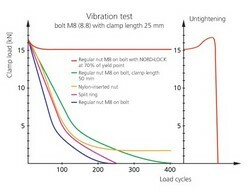 The test diagram shows the bolt tension during vibration testing of some common fasteners. 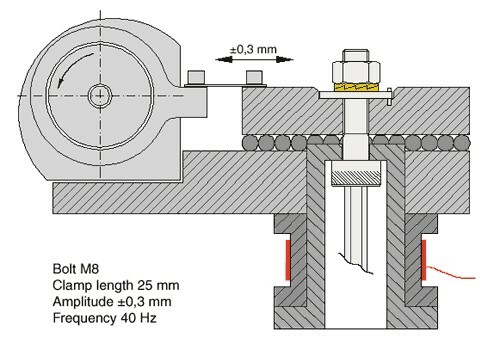 Most of the today commonly used locking devices show limited performance when exposed to vibration.